Hair loss in men occurs due to various reasons, the hair follicles that are sensitive to the DHT or dihydrotestosterone becomes weaker, finer then stop growing. Hair loss in women begins after menopause but if it happens before this therefore, women’s hair follicles also become prone to DHT. Compared to men, fully bald spots at the crown are rare in women. The process of hair thinning in women is marked by thinning throughout the scalp. Today, for treating hair loss and to meet expectation of patients’, different types of surgical hair loss treatments have come into existence such as FUT and FUE hair treatment. These therapies are meant to revive follicles and stimulate hair growth. FUT or Follicular Unit Treatmentation is a hair treatment procedure that treatment hair from the permanent zone to the balding areas of the scalp. By using naturally occurring groups of 1, 2, 3, or 4 hairs known as follicular units, the doctor removes a strip of tissue from the donor area and is placed on the recipient areas. Men who are suffering from male pattern baldness, who have lost their hair due to cosmetic procedure or due to some trauma can opt for this therapy. However, men who are completely bald or are balding for many years due to which the pattern has stabilized should not opt for this procedure. Moreover, you should have realistic expectations and that the hair loss may continue after the surgery. Why Opting for FUT Hair Transplant for Women is a Good Option? Similar to men, women also suffer from hair loss. But they don’t get complete baldness like men instead overall hair thinning is common in women. FUT is a process that helps in removing a strip of hair follicles from the donor area and placing it on the recipient area. Some of the good candidates for FUT hair treatment are women who are suffering from hair loss due to traction alopecia, cosmetic surgery and due to trauma such as scarring from an accident, burn victim, etc. Moreover, women who are suffering from alopecia marginalis can also opt for this procedure. But if you have little donor hair or have too much bald area then you should not opt for this therapy. 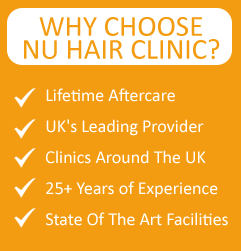 Hair loss can occur to anyone and it is crucial to understand the root cause of the hair loss. Therefore, to fight with the hair loss you should consult an expert to decide what steps is suitable for you to tackle the issue. There are many specialized clinics that offer professional surgeons who provide best solutions to your hair loss issues. To know more about your candidacy they will perform certain tests and decide on what will be beneficial for you.